Abu Dhabi, UAE – 28 August 2017 – Organisers of the annual Abu Dhabi International Petroleum Exhibition and Conference (ADIPEC), hosted by ADNOC, have confirmed the event’s technical conference, already the world’s largest for oil and gas professionals, will see a significant increase in scope for 2017 to include the downstream industry for the first time, as well as more sessions for specialised areas including offshore and marine exploration and production. With around 900 speakers scheduled for more than 200 sessions, the conference will bring together the industry’s most respected experts, global leaders and top decision makers, with around 10,000 delegates attending over the course of the event’s four days. 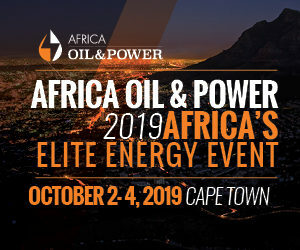 The expanded technical programme will encompass all layers of the industry, including upstream and midstream sessions organised by the Society of Petroleum Engineers (SPE), while dmg events, Global Energy, will oversee a new programme of downstream sessions. Organisers say the change reflects the accelerating search for efficiency and integration in a challenging market. “The key to growth for oil and gas companies will be to find new ideas, and to share information in the pursuit of best practice,” said Ali Al Rawahi, Reservoir Manager – Studies (BUH/SE Asset), at the Abu Dhabi Company for Onshore Petroleum Operations Ltd. (ADCO), and ADIPEC 2017 Technical Conference Chairman. The expansion to include the downstream sector reflects one of the emerging industry trends in oil and gas, as upstream and midstream companies are increasingly looking towards integration, collaboration and diversification across refining and petrochemicals, processing, and end-product sales to boost overall profitability. The ADIPEC Technical Conference programme received 3,060 abstract submissions for presentations at this year’s edition, a 10 per cent increase from last year, and for the second consecutive year setting a record for the number of submitted abstracts in the oil and gas industry. Technical abstracts came from 622 organisations located in 70 countries. Underlining ADIPEC’s expanding international reach, 59 per cent of submissions were from outside the Middle East. The ADIPEC 2017 technical committee, comprised of 164 industry leading experts, selected 809 high-quality abstracts. Conference sessions include exploration and production geoscience; production facilities technologies; field development; operational excellence; drilling and completion technology; health, safety and environment; projects engineering and management; gas technology; unconventional resources; improved and enhanced oil recovery; people and talent; and petroleum advanced analytics. The 2017 edition of the ADIPEC Conference programme will feature two ministerial sessions, four global business leader sessions and four downstream global business leader sessions, eight panel sessions, three offshore plenary panels, nine C-suite dialogue sessions, three industry breakfasts and three topical luncheons. A full-day Women in Energy programme will focus specifically on the opportunities for and achievements of women working in the oil and gas industry. The co-located Security in Energy conference returns for a second year, recognising the increasingly critical importance of cyber and infrastructure security within oil and gas operations. Held under the patronage of His Highness Sheikh Khalifa Bin Zayed Al Nahyan, President of the UAE, hosted by the Abu Dhabi National Oil Company (ADNOC), and organised by the Global Energy division of dmg events, ADIPEC is one of the world’s leading oil and gas events, and the largest in Africa and the Middle East. ADIPEC will be held at Abu Dhabi National Exhibition Centre from 13 to 16 November 2017.